Dayton Hamvention is May 16-18, 2014. Two radio amateurs with close ARRL ties are among the winners of Dayton Hamvention 2014 awards. Hamvention will honor three Amateur Radio operators and one ham radio club for their "significant contributions to the Amateur Radio Service" when the annual, 3 day gathering gets underway May 16. Named Amateur of the Year is Larry E. Price, W4RA, President Emeritus of the ARRL and of the International Amateur Radio Union (IARU). ARRL CEO David Sumner, K1ZZ, will receive the Special Achievement Award. The Technical Excellence Award winner is David Freese Jr, W1HKJ, and the Club of the Year is the Gwinnett Amateur Radio Society (W4GR) of Georgia. "We believe the winners have all made excellent contributions to the ham radio community," said Hamvention Awards Chairman David Crawford, KF4KWW, adding that the number of worthy nominees presented the Awards Committee with a tough task. "We were impressed with the quality of the nominations," he noted. Hamvention Chairman Charles Kaiser, KD8JZR, praised the winners. "On behalf of the Dayton Amateur Radio Association (DARA) and Hamvention 2014, it is my pleasure to congratulate this year's award winners," he said. "Please join me in recognizing the outstanding contributions and the many years of devotion the winners have given to the Amateur Radio Service." Price served as president of the IARU from 1999 to 2009, and as ARRL president from 1984 to 1992. 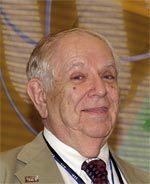 Hamvention's Awards Committee said Price's leadership "had significant and direct impact on the development of Amateur Radio throughout the world." Among his noteworthy achievements, the panel cited the protection of frequency allocations; the adoption of ITU Recommendation ITU-R M.1544 -- minimum qualifications of radio amateurs; the expansion of the 40 meter band in ITU Regions 1 and 3, and the allocation of new LF bands for ham radio. As Special Achievement Award winner, Sumner was cited for his contributions to the international Amateur Radio community through the IARU and for his leadership in the fight against Broadband over Power Line (BPL) interference to radio amateurs. A Technical Excellence Award winner, Freese was recognized for his development and distribution of the Fast Light Digital Modem Application (fldigi) family of programs for use in amateur and emergency communications. Fldigi is an easy-to-use, free, and open-source, multi-platform digital computer soundcard modem program for Amateur Radio. The Club of the Year Award winner, the Gwinnett Amateur Radio Society, serves Gwinnett County, Georgia. 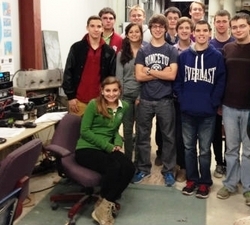 The Gwinnett Amateur Radio Society offers several, well-rounded training programs for all ages. The club regularly hosts and supports Amateur Radio programs and participates in a multitude of public service events, the Awards Committee said. "Their last effort for Field Day was a massive effort that included eight stations," Hamvention said in announcing the awards. "Their TechFest is an opportunity for the community to become aware of the many modes of operation of radio amateurs and view some of the preparations taking place by public service volunteers in the ham radio community." The club also maintains a wide-area repeater system that is home to several nets. Dayton Hamvention 2014 will take place May 16-18 at Hara Arena near Dayton, Ohio. The ARRL Education & Technology Program (ETP) will offer three Teachers Institute (TI) sessions this year. The ETP is aimed at preparing teachers to meet the "STEM Challenge" -- introducing science, technology, engineering, and mathematics in their classrooms. Two sessions of the basic program (TI-1), which will provide an introduction to wireless technology, and one session of the advanced program (TI-2), which will focus on remote sensing and data gathering are planned for this summer. Educators must complete the basic program before taking the advanced session. "The ARRL Teachers Institute is an intensive, expenses-paid, 4 day in-service teacher training opportunity," explained Debra Johnson, K1DMJ, ARRL's education services manager. "It is designed to help participating teachers develop a deeper understanding of basic electronics, the science of radio, space technology, microcontroller programming, and basic robotics." Johnson said the objective of the basic seminar is to guide teachers in making connections between science and math concepts, as well as to demonstrate the engineering and technical application of those concepts and to offer some hands-on exploration. Sessions are open to active teachers of grade levels 4-16 at a school, college, or professional educational organization, and to leaders of school-affiliated enrichment programs. "We look for teachers with a vision for how to apply the training they will receive at the Teachers Institute in their classrooms," Johnson said. 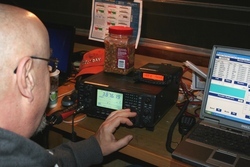 An Amateur Radio license is required for advanced session participants; basic session participants do not need to hold an Amateur Radio license. The basic sessions are limited to 12 people, while the advanced session is limited to 10 participants. The introductory sessions will address fundamental concepts of wireless technology, microcontroller essentials, and the teaching of basic robotics. The advanced session on remote sensing and data gathering will concentrate on basic sensor electronics, the microcontroller programming involved in accessing the sensors, and the use of radio to communicate sensor output data to users. Johnson points out that Amateur Radio has long been fertile ground for gaining knowledge with electronics and for hands-on experimentation and application of technology. "Drawing upon this," she said, "the ARRL Education & Technology Program provides an opportunity for educators to learn how basic electronics and radio science are applied, and how to convey these concepts to their students." 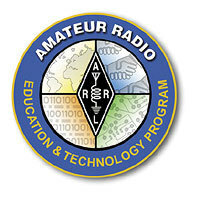 The two TI-1 sessions -- Introduction to Wireless Technology -- will take place June 23-26 at the Dayton Amateur Radio Association, Dayton, Ohio, and July 22-25 at ARRL Headquarters in Newington, Connecticut. The TI-2 session -- Remote Sensing and Data Gathering -- will take place July 8-11 at ARRL Headquarters. More details and a downloadable application are available on the Teachers Institute web page. An enrollment fee of $100 is required with applications, although this will be refunded if the applicant is not admitted. The application deadline is May 1. For additional information, e-mail or call the ARRL Education & Technology Program at 860-594-0296. The ARRL ETP and the Teachers Institute are funded entirely by contributions. Amateur Radio operators in Slovenia are helping to support communication after the Eastern European nation was hit by extreme winter weather that has included heavy snow and sleet, and accompanying ice damage to power and telecommunications lines -- not to mention to Amateur Radio antennas. Accumulated ice and snow took down power lines and even toppled support towers, cutting the electrical supply to a reported 25 percent of households, according to the European Union. Continued bad weather has complicated repairs to the power grid, prompting Slovenia to ask the European Union to help by providing mobile generators. "What is happening since Thursday last week is something unseen in this region," Miha Habic, S51FB, in Ljubljana, told ARRL. "Even the oldest persons can't remember such [a] natural disaster, especially while almost [the] whole country is suffering." Habic, the IARU liaison to ZRS, Slovenia's IARU Amateur Radio society, said only the northeastern part of Slovenia has been spared. Serbia and Croatia also have been affected. "The risks associated with winter weather continue across Europe," said Kristalina Georgieva, the European Union Commissioner for International Cooperation, Humanitarian Aid and Crisis Response. "[T]he European Commission's experts in crisis response will remain vigilant, keeping their national counterparts informed on any developments and ready to coordinate further assistance if needed." Austria was one of the countries responding to the request to provide emergency generators. Because of Slovenia's uncertain communication infrastructure, the Austrian responders asked Austrian ham radio emergency operators to provide a link between the two countries using Pactor and Winlink. Austria's Emergency Communications Coordinator Gregor Vehzely, OE1VGC, has asked radio amateurs in Europe to keep clear of frequencies supporting the links. These include 3.644 MHz (S51SLO), 3.608 and 3.617 MHz (OE3XEC), and 3.601 MHz (OE6XPD). Germany and the Czech Republic also responded to the EU request. Habic confirmed that there has been no huge demand for Amateur Radio support, although repeaters were reported out in some communities. He said February 4 that the situation was "a bit more stable," but that snow and rain predicted for some regions could mean more trouble. He said he's already heard reports of weather-related damage to Amateur Radio, including S57DX in Vrhnika, which he said was "completely destroyed." S50K in Logatec, and Radioclub Moravce's S50G as well as S58M in Moravce suffered severe damage, he said. He predicted, in contests coming up, the amateur community will notice when it hears "no big competitors from Slovenia." Read more. 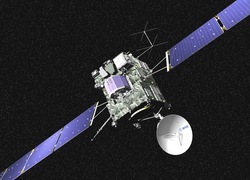 James Miller, G3RUH, was among a handful of Amateur Radio operators to receive the X band signal January 21 from the European Space Agency's Rosetta spacecraft, some 500 million miles from Earth. Miller used the 20 meter dish at the Bochum Amateur Radio facility in Germany, run by AMSAT-DL and IUZ Bochum Observatory. In an AMSAT-BB post, Miller noted the frequency at the spacecraft was 8421.786900 MHz, and the signal was "about 14 dB" below that of the STEREO A/B spacecraft. Perhaps more astonishing, Bertrand Pinel, F5PL, was able to track Rosetta 65 kilometers from Toulouse using his "home-rigged" 3.5 meter dish and receiver. And Viljo Allik, ES5PC, a member of Estonian Student Satellite Program team reported his group was able to detect the satellite's signal using a slightly smaller dish. "We have recently established our own small ground station for mostly educational purposes to get more interested students into space technology," Allik said in a reply to Pinel's European Space Agency blog post. The Estonians used a 3 meter dish. Allik said the signal-to-noise ratio was in the range of 3 to 5 dB in a 1 Hz bandwidth. "So it was really exciting to see the signal from such large distance with our very simple receiving station. The elevation of the Rosetta spacecraft at our location was only about 4° during the reception." The equipment used was "a kind of amateur design," he said. "We detected signals from other spacecraft like Gaia and STEREO A/B too, but the signal from Rosetta is the most-distant signal we have detected so far." The "Winter/Spring Term" School Club Roundup gets underway Monday, February 10 at 1300 UTC, and continues through Friday, February 14, at 2359 UTC. Stations may operate no more than 6 hours in any 24 hour period (up to a maximum of 24 hours). The twice-yearly event is an opportunity for school club stations -- from elementary school to college -- to get on the air for a friendly radio activity. Non-school clubs and individuals are encouraged to participate too. School Club Roundup has become one of the highlights of the academic year for students in the Bloomington High School Amateur Radio Club, K9SOU, in Bloomington, Indiana. Sponsored by the ARRL, the ARRL Hudson Division Education Task Force, and the Long Island Mobile Amateur Radio Club (LIMARC), the contest aims to foster contacts with and among school radio clubs. Stations exchange signal reports, class ("Individual", "Club," or "School"), and US state, Canadian province/territory, or DXCC entity. Stations may operate on all amateur bands except 60, 30, 17 and 12 meters (no repeater contacts, and VHF/UHF contacts must be on recognized simplex frequencies, except calling frequencies). Stations may operate phone, CW, or digital modes. The top three entries in each category will receive an Award Certificate. Entry categories are Elementary, Middle/Intermediate/Junior High School, Senior High School College/University. Non-school clubs or multiop groups and individuals are also eligible for certificates. See "Getting Organized for School Club Roundup" for some helpful tips! Stay up to date on SCR by subscribing to the School Club Roundup reflector. The 2014 Field Day packet is now available. ARRL Field Day is the most popular on-the-air event. It takes place each year in the US and Canada on the fourth weekend in June, when thousands of radio amateurs gather with their clubs, in groups, with friends, or by themselves to operate "in the field" to simulate an emergency communication situation. In 2013, the ARRL received more than 2500 Field Day entries, representing participation by more than 36,000 radio amateurs who completed in excess of 1.2 million individual contacts on CW, phone, and digital modes. Field Day 2014 is June 28-29, and it's not too early to start planning. The Field Day Locator will help you find a Field Day site near you. Rules in Spanish also are available. E-mail ARRL Headquarters for more information, or call 860-594-0236. Registration now is open for the ARRL National Centennial Convention, Thursday, July 17, through Saturday July 19, at the Connecticut Convention Center, to celebrate 100 years of the ARRL. Thousands of League members and friends will gather in Hartford -- the ARRL's birthplace -- to celebrate the first century of ARRL members' "Advancing the Art and Science of Radio." The three days are packed with activities. The first day, Thursday, includes training workshops. Among these are Contest University, DX University, RFI 101, and a Public Service Communications Academy. The Exhibit Hall, open Friday and Saturday, will feature ARRL program representatives, Amateur Radio manufacturers, equipment sellers, and an indoor flea market. The Friday evening ARRL Centennial Banquet will be followed by a Wouff Hong ceremony. A Presidents Breakfast will be held on Saturday. On all three days there will be opportunities to tour ARRL Headquarters and W1AW. A 3 day adult ticket is $75; youth (21 or younger) is $50, which includes a training workshop on Thursday and access to the exhibit hall and indoor flea market on Friday and Saturday, plus all forums and a coach bus trip to ARRL Headquarters and W1AW. A 2 day (Friday/Saturday) adult ticket is $25; youth are free. Other ticket options are available, including spouse/companion tickets that include alternative non-ham activities. The ARRL Centennial "W1AW WAS" operations that are taking place throughout 2014 from each of the 50 states are in Georgia (W1AW/4) and Hawaii (W1AW/KH6) until February 12 (UTC), when they will shift to California (W1AW/6) and Wisconsin (W1AW/9). During 2014 W1AW will be on the air from every state (at least twice) and from most US territories, and it will be easy to work all states solely by contacting W1AW portable operations. In conjunction with the 100th anniversary of the ARRL, the ARRL Centennial QSO Party kicked off January 1 for a year-long operating event in which participants can accumulate points and win awards. The event is open to all, although only ARRL members and appointees, elected officials, HQ staff and W1AW are worth ARRL Centennial QSO Party points. Working W1AW/x from each state is worth 5 points per contact. The "European War" began on July 28, 1914, and the United States entered the renamed "World War" on April 5, 1917. The three American military services -- the Navy, the Army, and the Army Air Service -- quickly realized how ill prepared they were in the area of communication, having neither enough operators nor enough equipment to wage a modern war. The Navy soon called on President H. P. Maxim and the ARRL for help. At that time, the ARRL boasted some 6000 hams, who were experienced radio builders, repairmen, and highly trained operators -- some with as many as 15 years of experience. The Navy asked Maxim to help it find 500 operators immediately, which was accomplished! Later, the Navy issued a second call, this time for 2000 more volunteer radio operators; again, that requirement was quickly met. Another 1000 hams went into Navy service later in the war. The Army and the Army Air Service raised comparable numbers of operators from among the ranks of American radio amateurs. When these hams provided their services to the military, their station equipment often went with them. The military branches were as equipment poor as they were operator poor. The amateurs who went into the various branches of the military did fine work. The quality of American communication links often made a great difference in the outcome of battles. The performance of American hams garnered accolades from many people, including Commendattore Guglielmo Marconi, the chief signaling officer of the Italian Army. Soon after the war ended on November 11, 1918, the US Secretary of Commerce said, "The officers in charge of the wireless operations of our armies in France commend highly the skill, ingenuity and versatility of the licensed amateur radio operators who volunteered in large numbers for military service and served in dangerous and responsible positions." The collapse of two radio towers in North-Central West Virginia on February 1 resulted in three deaths and injuries to two individuals. The tragedy also resulted in the loss of three Amateur Radio repeaters belonging to the Stonewall Jackson Amateur Radio Association (SJARA) and forming part of the HamTalk linked repeater system, which were available to assist with emergency and disaster communication. Richard Wilt, K8TPH, reported that one tower went down, killing two workers on the 300 foot structure and taking down a second, shorter tower. An emergency responder died after being struck by falling debris. Two other tower workers suffered minor injuries. "The towers are an important link in maintaining cell service and repeaters for several commercial companies locally," Wilt said. "The towers also were in use by the Amateur Radio community with three repeaters located on the towers. These Amateur repeaters are a major part of the North-Central West Virginia emergency communications to assist the Office of Emergency Management of Harrison County, FEMA, and the American Red Cross." The Stonewall Jackson ARA has a memorandum of understanding with the Harrison County Commission and the cities of Clarksburg and Bridgeport to assist during emergencies that require communication support. SJARA Vice President David Anderson, N8YPE, is the Harrison County Emergency Coordinator. Wilt said the club has moved its weekly emergency net to another repeater, but he said it's not known when the towers will be replaced. He said the SJARA spent a substantial amount last year on repeater maintenance, and he expressed concerns about the cost of replacing the repeaters. According to news accounts, West Virginia State Police said three workers approximately 70 feet above the ground and a fourth man about 20 feet above the ground were on the tower. They were said to be repairing structural supports. 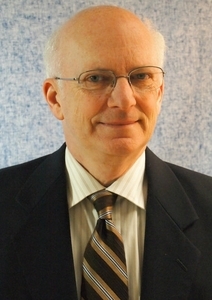 Foundation Board from 1991 until 2012 and chaired the Scholarship Committee, and Eugene H. Hastings, W1VRK, who served on the ARRL Foundation Board from 1993 until 2014 and was a member of the Scholarship and Proposals Committees. The honors were unanimously approved by the ARRL Foundation Board of Directors at its Annual Meeting on January 21. The Board expressed its appreciation to both for their "many years of dedicated service to the ARRL Foundation." Established in 1973 by the ARRL as an independent and separate IRS 501(c)(3) organization, the ARRL Foundation administers programs to support the Amateur Radio community. It is funded entirely through the contributions of radio amateurs and friends. Beurt SerVaas, W9WVO, of Indianapolis, Indiana, died February 2. He was 94. Known in his home city as the politician who revamped Indianapolis and Marion County politics, he presided over the City-County Council for three decades. Outside of Indianapolis politics, though, he may be best remembered as the person whose publishing company rescued The Saturday Evening Post magazine in the 1970s and moved it to Indianapolis. "Indianapolis has lost one of its greatest champions and chief architect of its success," Mayor Greg Ballard said a statement. "Beurt set a gold standard for public service in this city that all current and future leaders should emulate." A World War II US Navy veteran, SerVaas served as an OSS intelligence officer during the war and later worked for the Central Intelligence Agency. According to his obituary in The Indianapolis Star, The Saturday Evening Post was one of an eclectic variety of businesses that SerVaas owned or started. His first was an electroplating business he bought in the 1950s. He entered politics in the early 1960s, winning election to the Indianapolis City Council. He retired from politics in 2002 and, then in his 80s, sold off most of his businesses at around the same time. SerVaas also was an ARRL member and staunch supporter of the League during his active years. "Beurt was a generous and gracious donor," said ARRL Chief Development Officer Mary Hobart, K1MMH. "On a visit to Indianapolis he gave me a tour of the city and shared his fascinating experiences with the OSS. He was truly a remarkable man!" 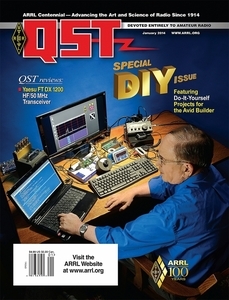 W9RAN Wins January QST Cover Plaque Award: The winner of the January QST Cover Plaque award is Robert Nickels, W9RAN, for his article "Virtual Radar from a Digital TV Dongle." The QST Cover Plaque Award -- given to the author or authors of the most popular article in each issue -- is determined by a vote of ARRL members on the QST Cover Plaque Poll webpage. Cast a ballot for your favorite article in the February issue today. Tad Cook, K7RA, Seattle, Washington, reports: Solar activity surged this week, with average daily sunspot numbers increasing by nearly 55 points, from 101.4 to 156.3. 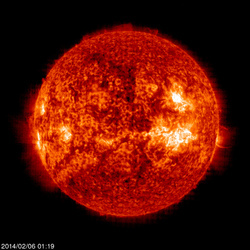 Average daily solar flux rose by nearly 38 points, from 142.9 to 180.4. Geomagnetic indices remained quiet -- so quiet, in fact, that on February 4 the high-latitude college A index near Fairbanks, Alaska, was zero, because each of the 3 hour K index readings that day were zero. The same thing happened on January 19. Geomagnetic numbers will increase over the next few days, with planetary A index predicted to be 5, 8, 12, 10, and 8 on February 6-10, followed by 5 on February 11-16, 8 on February 17-18, 5 on February 19-24, then 8 on February 25, and 5 through the end of the month. Solar flux should be strong, with values of 198, 195, 190, 185, and 180 on February 6-10, 170 on February 11-12, followed by 140, 135, 130, and 140 on February 13-16, and 145 on February 17-22. Solar flux is expected to hit 200 on March 1, drop slightly, then peak at 210 on March 5, followed by a low of 130 on March 14. Last Friday's bulletin reported that something seemed amiss with the predicted solar flux and A indices from the USAF/NOAA prediction, which became apparent on the spreadsheet that we use to archive the forecasts. Sure enough, we uncovered an error that NOAA is fixing. We'll have more about that in the Friday bulletin, as well as an update to our 3 month moving average, which looks quite strong. We'll also have details about a rare find at a rural library in the Western Washington Division. Send your reports and observations, and tell about all the fun you've had on the air this week.